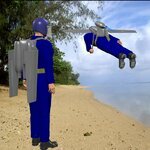 A jet pack, rocket belt or rocket pack is a device, usually worn on the back, which uses jets of gas (or in some cases liquid) to propel the wearer through the air. 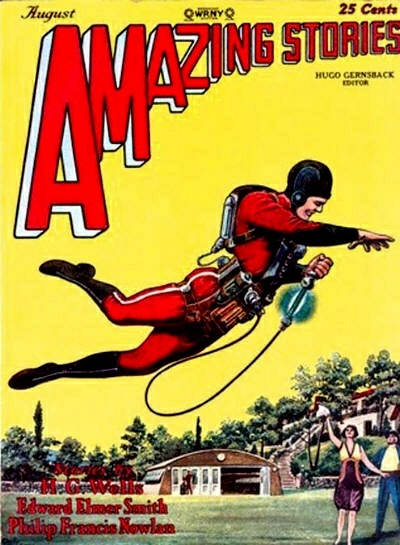 The concept has been present in science fiction for almost a century and became widespread in the 1960s. 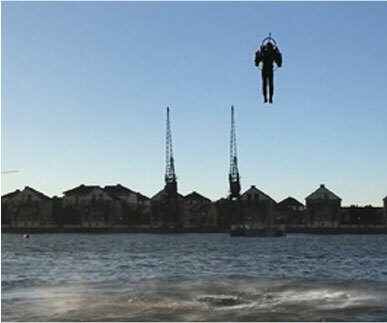 Real jet packs, using a variety of mechanisms have been developed, though the challenges of Earth's atmosphere, Earth's gravity, low energy density of available fuels, and the human body not being naturally adapted to fly mean that their uses are much more limited than their fictional counterparts, being principally used for stunts. 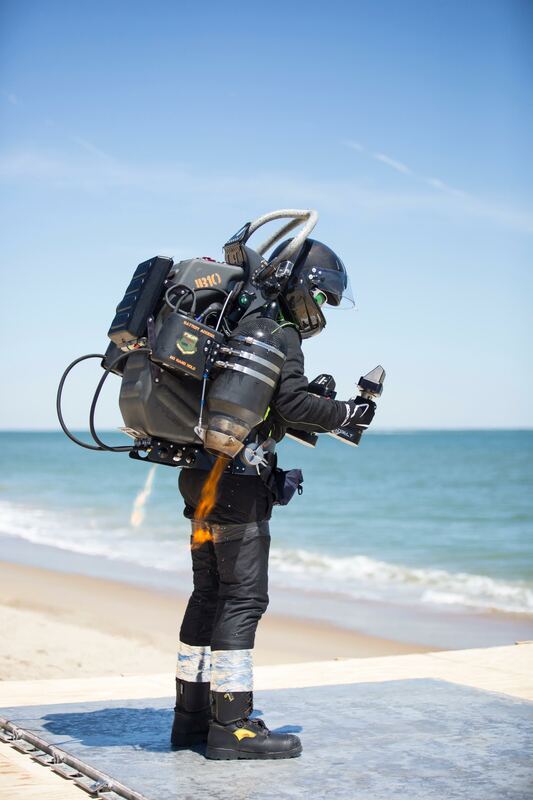 A practical use for the jet pack has been in extra-vehicular activities for astronauts. 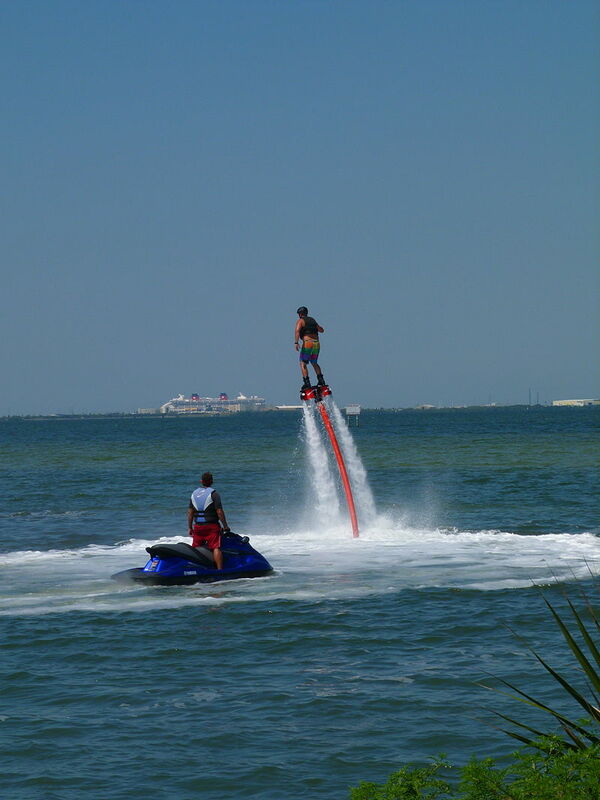 In the most general terms, a jet pack is a wearable device allows the user to fly by providing thrust. 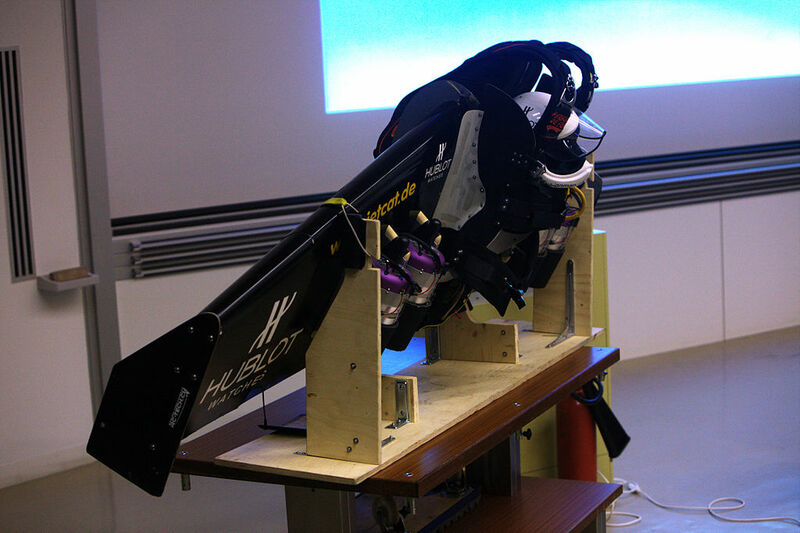 With the exception of use in a microgravity environment, this thrust must be upwards so as to overcome the force of gravity, and must be enough to overcome the weight of the user, the jet pack itself and its fuel. 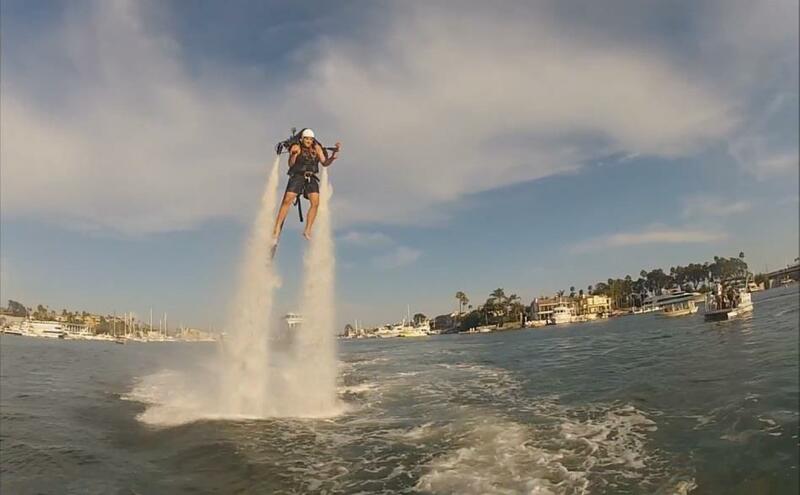 This necessarily requires the jet pack to continually push mass in a downwards direction. While some designs have power and/or mass supplied from an external, ground-based source, untethered flight requires all of a flight's fuel to be carried within the pack. This results in problems relating to the overall mass ratio, which limits the maximum flight time to tens of seconds, rather than the sustained flight envisaged in science fiction. 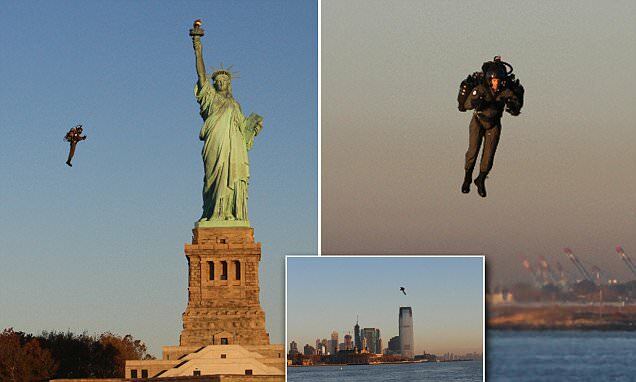 On November 3, 2015, Jetpack Aviation demonstrated the JB-9 in Upper New York Bay in front of the Statue of Liberty. The JB-9 carries 4.5 kilograms (10 lb) of kerosene fuel that burns through two vectored thrust AMT Nike jet engines at a rate of 3.8 litres (1 US gallon) per minute for up to ten minutes of flying time, depending on pilot weight. Weight of fuel is a consideration, but it is reported to start with 150 m (500 ft) per minute climb rate that doubles as the fuel burns off. While this model has been limited to 102 km/h (55 knots), the prototype of the JB-10 is reported to fly at over 200 km/h (110 kn). 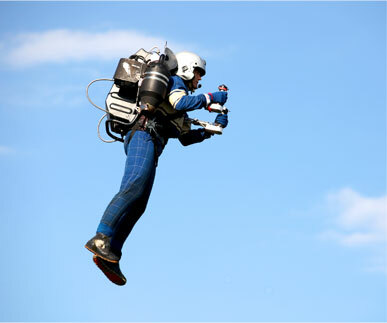 This is a true jetpack: a backpack that provides jet-powered flight. Most of the volume is the fuel tank, with twin turbine jet engines gimbal-mounted on each side. 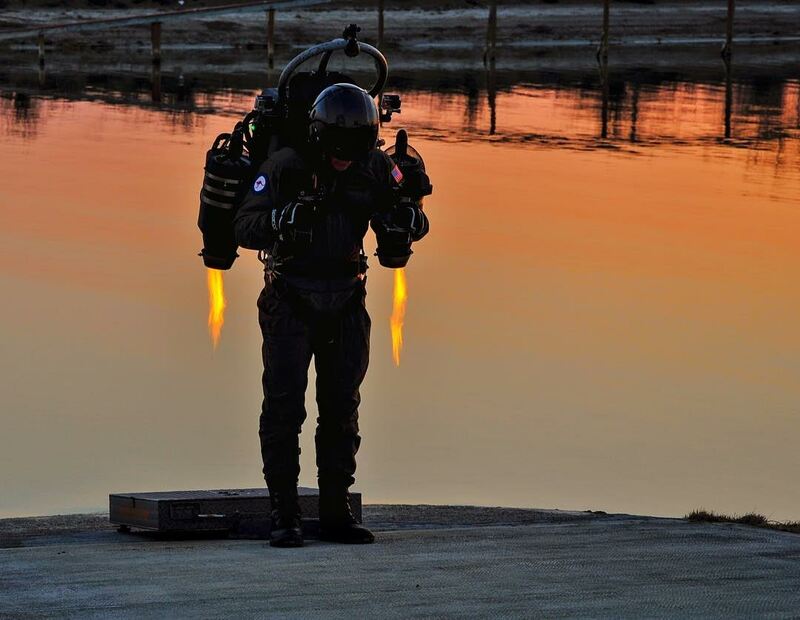 The control system is identical to the Bell Rocket Belt: tilting the handgrips vectors the thrust – left-right & forward-back – by moving the engines; twisting left hand moves two nozzle skirts for yaw; twisting the right hand counterclockwise increases throttle. 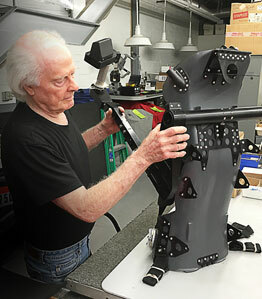 Jetpack Aviation was started by Australian businessman David Mayman with the technical knowhow coming from Nelson Tyler, prolific inventor of helicopter-mounted camera stabilizers and one of the engineers that worked on the Bell Rocketbelt that was used in the 1984 Olympics. 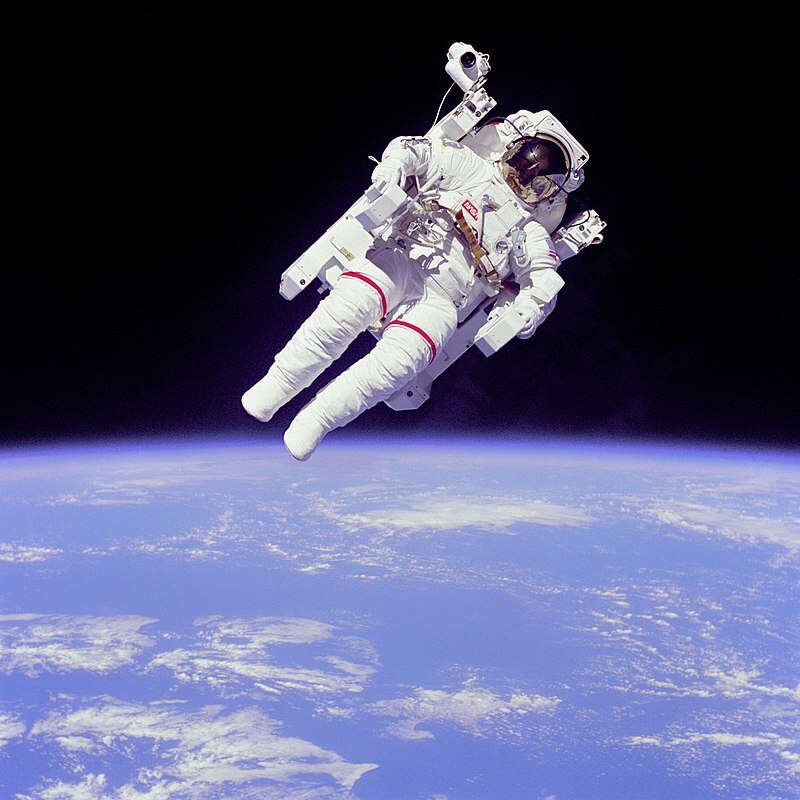 Rocket packs can be useful for spacewalks. 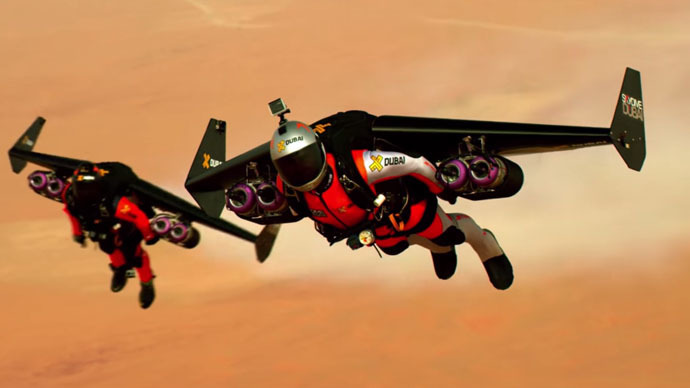 While near Earth a jet pack has to produce a g-force of at least 1 g (a smaller g-force, providing only some deviation from free fall is of little use here), for excursions outside a free falling spaceship, a small g-force providing a small deviation from free fall is quite useful. Hence much less delta-v is consumed per unit time, and not during the whole EVA. With only small amounts of thrust needed, safety and temperature are much more manageable than in the atmosphere in Earth's gravity field.